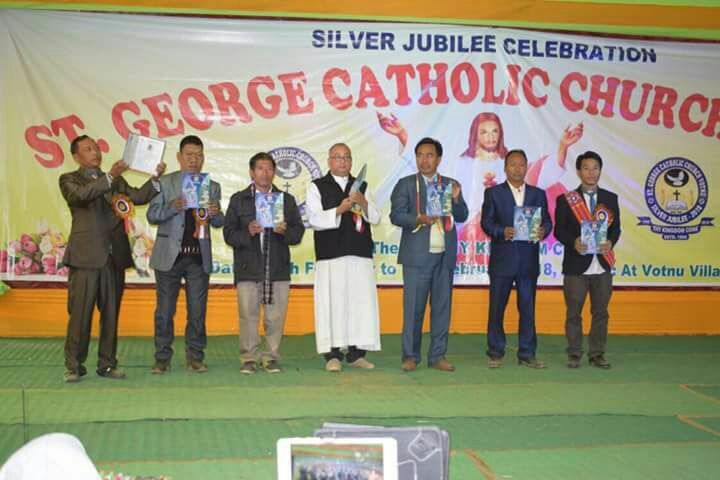 The people of Votnu, the last village of Arunachal Pradesh in Longding district, bordering Myanmar, celebrated its Silver Jubilee of receiving Catholic faith on 11 February. Mr. Honchun Ngandam , Hon’ble Minister of Education, Library & Statistic, Government of Arunachal Pradesh and Shri. Motpho Kolong, Zilla Parishad Member of Wakka Block graced the occasion as Chief Guest and Guest of Honour, in presence of Rev. 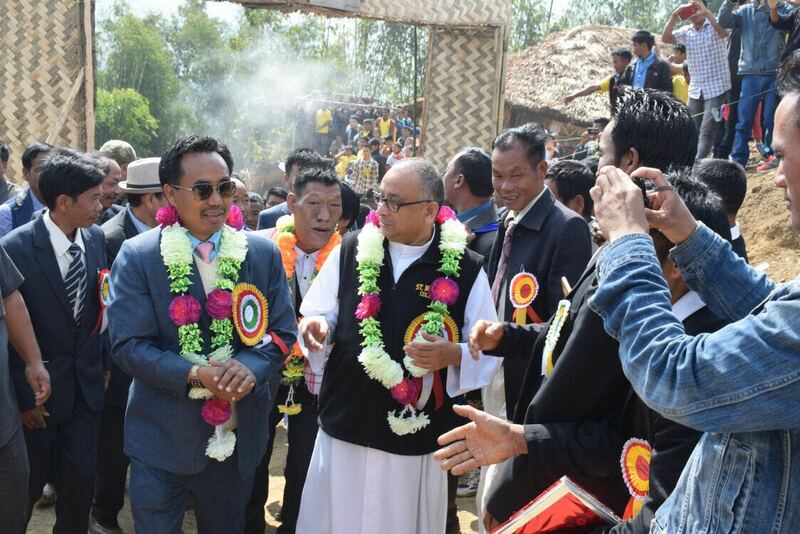 Dr. George Pallipparambil, SDB Bishop of Miao Diocese. Speaking on the occasion Mr. Ngandam lauded the contribution of the Church in modernizing the village and bringing peace in the region. “It is a great event to be celebrated. But such celebrations should not be only about merry making but it should lead us to ponder on ways to march further as society”, he said. Votnu, a large Catholic village with 125 families, located 261 KMs away from Miao, right on the Indo-Myanmar border, is home to Wanho Tribe, one of the prominent tribes of Arunachal Pradesh. Appreciating the cultural items presented at the event, Bishop George appealed to the people to preserve their cultural identity. “25 is just a number. We must measure our success on the number of leaders this village has produced”, he said and advised the youth fight drug and alcohol addiction as most dangerous enemy. Mr Kolong, the ZPM took the occasion to emphasise on the implementation of Swatch Bharat Abhiyan in the village and appealed the villagers to make the village an open defecation free village.